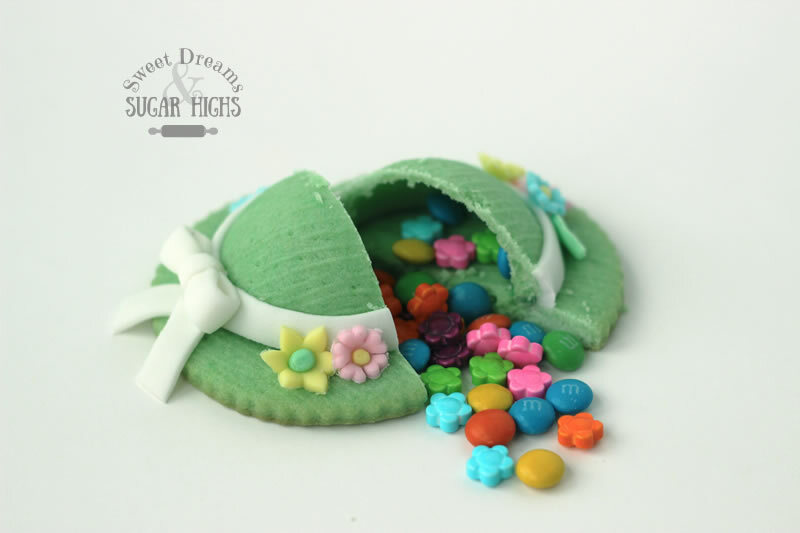 Easter is almost here and I’ve got some fun little cookies to add to your Easter treats. If you don’t have time to make them before Easter, these cookies would also be great for Mother’s Day or a special lady’s birthday. 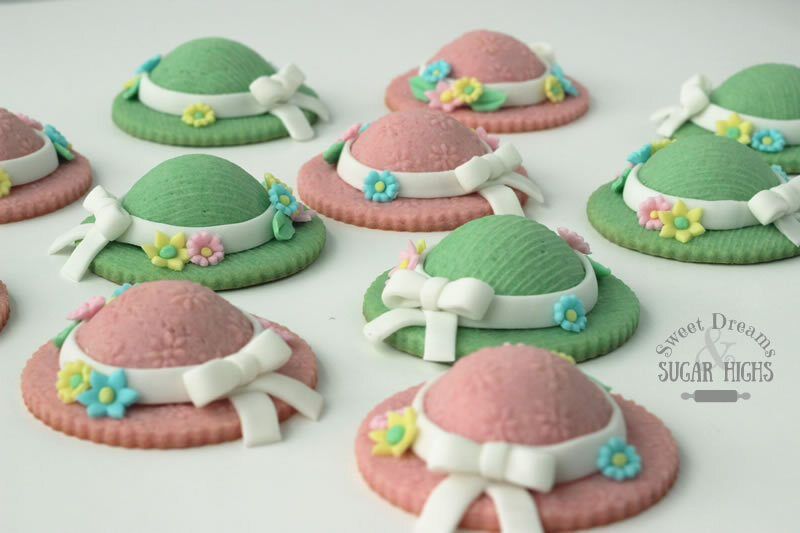 Look at these cute little Easter Bonnet Cookies. Not only are they sweet, colorful and adorable; they also have a surprise. Each cookie is filled with tiny candies. I love that when you shake them you can hear the candy rattling inside but you have no idea what it is until you break it apart. These types of cookies, with candy inside, are often referred to as Piñata cookies. Now check out the texture imprinted in the dough. 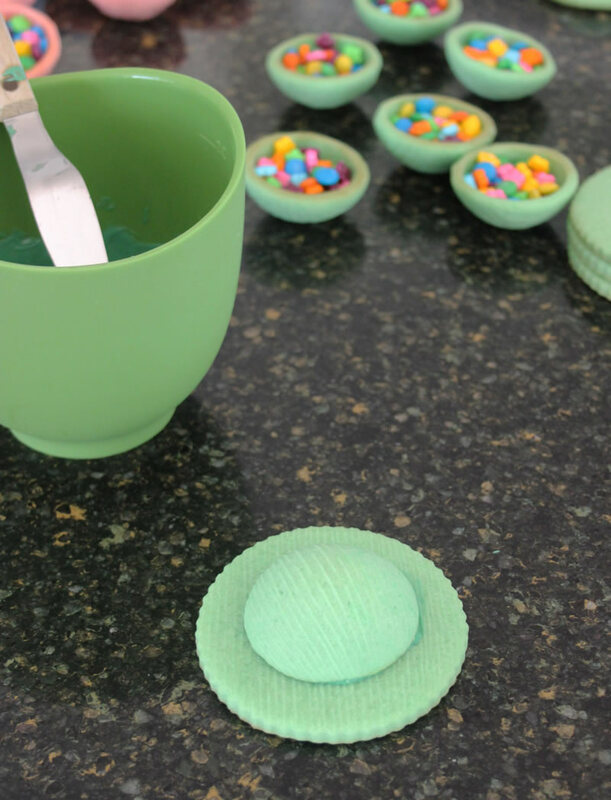 I bet you didn’t realize you could get a cookie to look like fabric, did you? 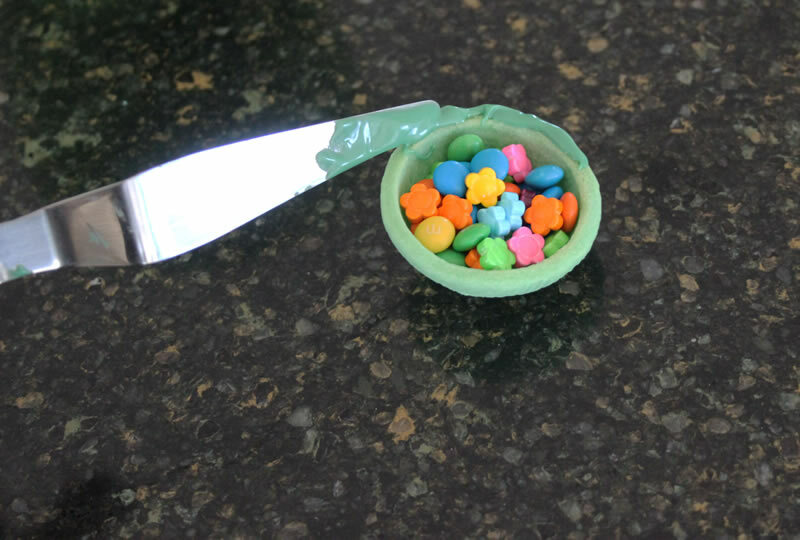 Don’t worry, I’m giving you complete instructions on how to make these little treasures so no need to wonder how they got that way. 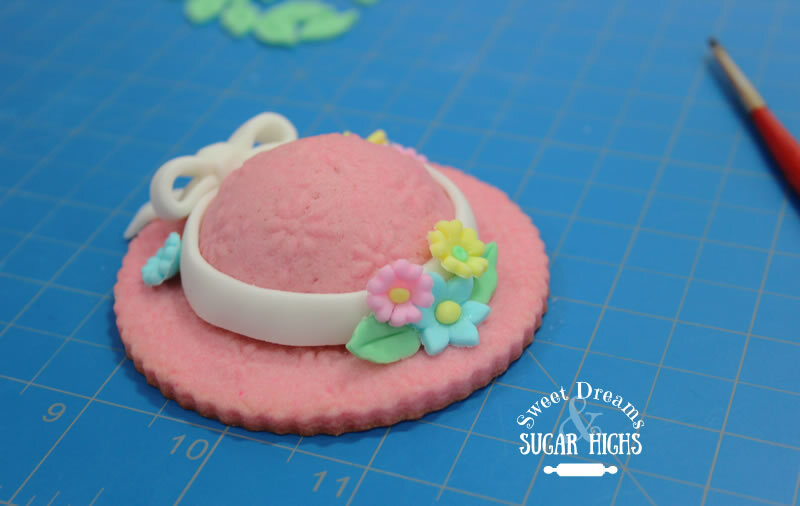 I came up with this idea after I happened upon the most adorable baseball cap cookies I have ever seen on the Hungry Happenings blog. 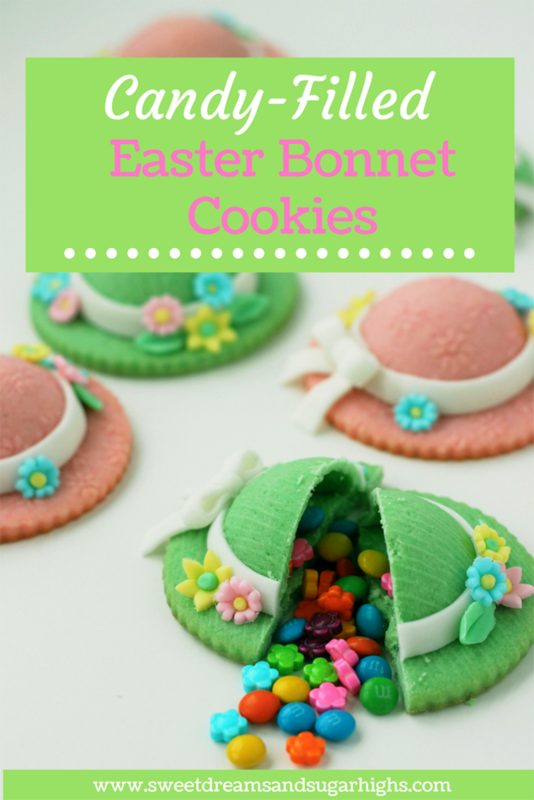 I just had to make something similar and Easter was getting closer so I thought it would be fun to use this idea and create Easter bonnets. I thought I had a wonderful, unique idea but after I made my cookies I went back to the Hungry Happenings blog to look something up and then discovered that she also has another tutorial for Ladies Hat Piñata Cookies. Basically it is the same idea as what I did for my bonnets. They are absolutely adorable as well. So my idea wasn’t so unique after all (really are any ideas??) 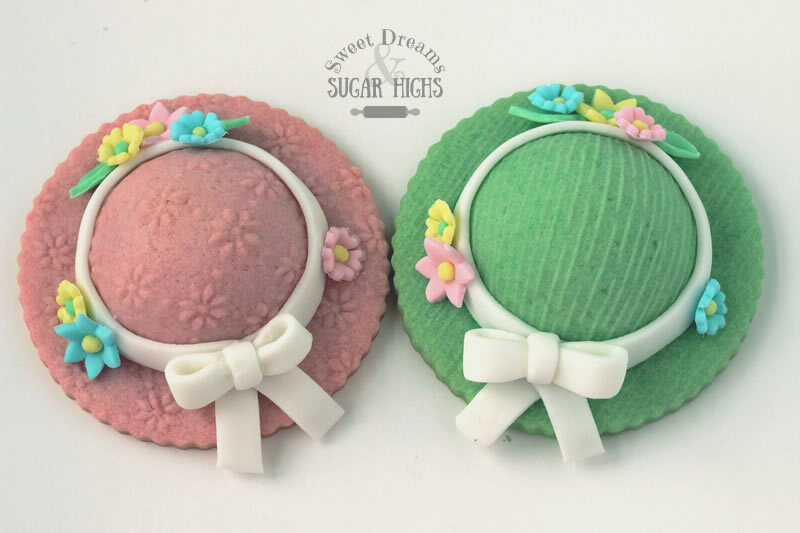 but you are in luck because you now have two hat cookie tutorials that you can follow, each with a slightly different look to them. 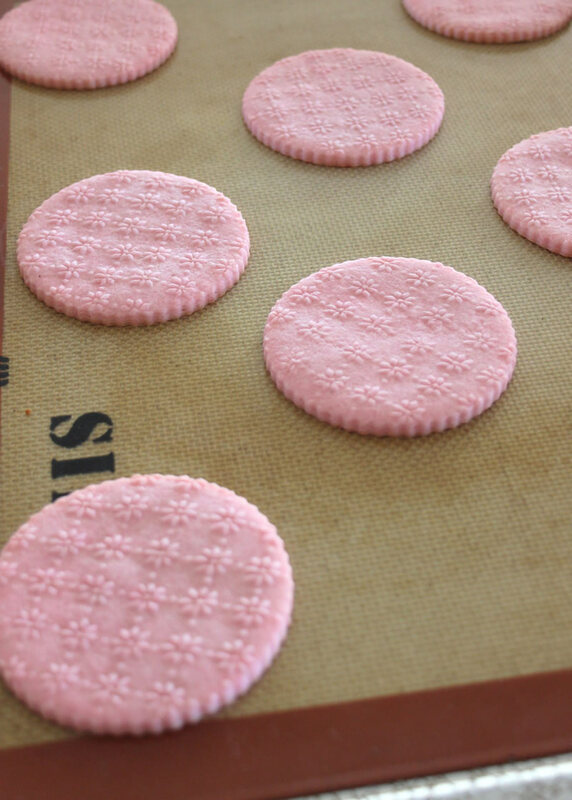 Plus, if you look through the Hungry Happenings blog you will find all sorts of other fun piñata cookies you can make. 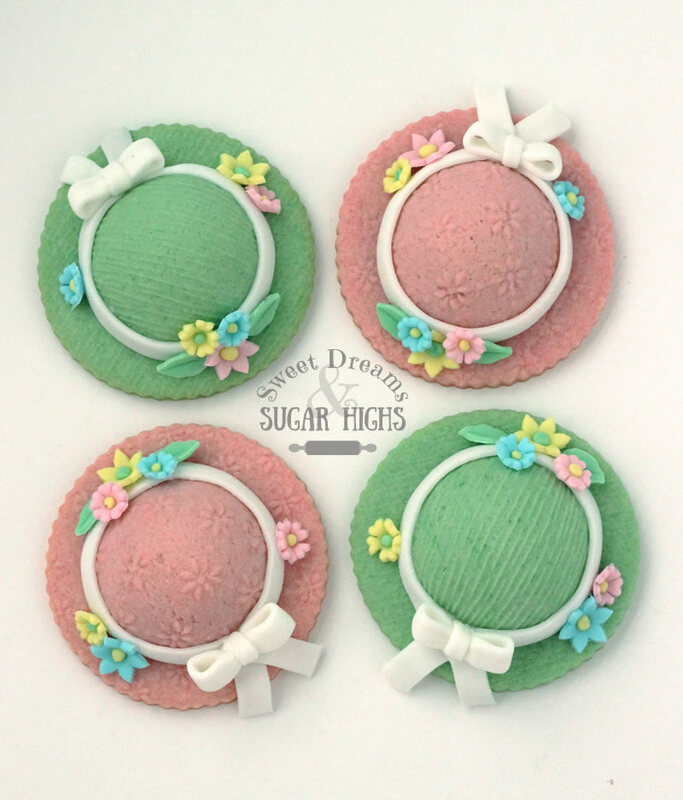 The other reason I wanted to do these hats was because I found these sweet little flower sprinkles at Walmart and they were the perfect size for the inner candies. 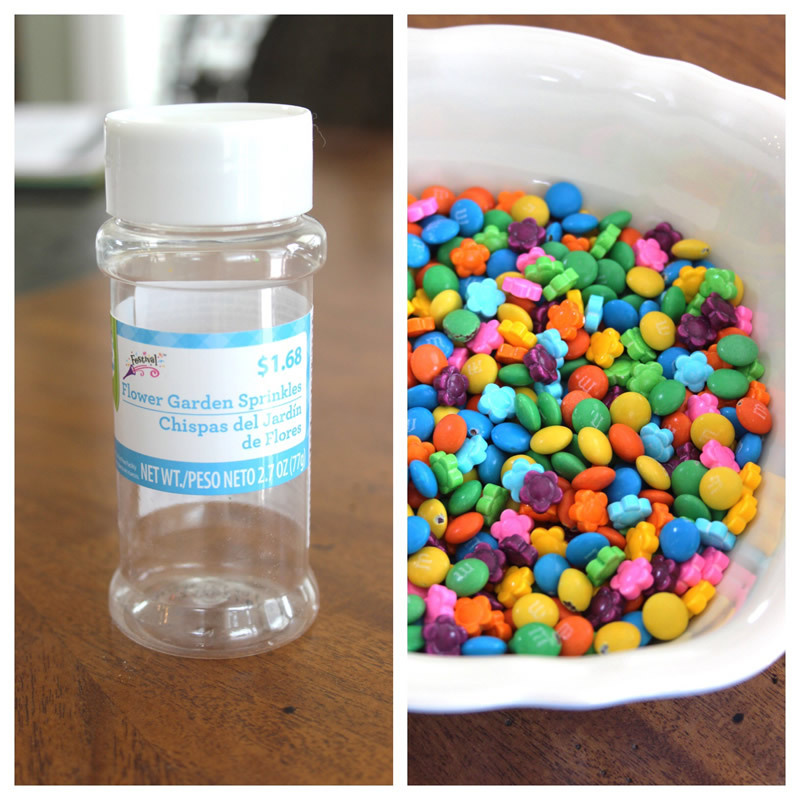 Unfortunately I poured them out and mixed them with some mini M&M’s before I thought to take a photo of them in their bottle, so I have included a photo of the empty bottle and a close up of the candy mix that I made. Now let’s get on with making the cookies. You need to start with a non-spreading sugar cookie recipe. I’ve included my favorite recipe for Autumn Carpenter’s Buttery Sugar Cookies below. This is the same recipe I used for my Piggy Bank Cookies. I like to make my dough and refrigerate it overnight then allow it to warm up for about an hour on the day I plan to use it. One full recipe makes about 20 bonnet cookies. You want to start by rolling out your dough about 1/4” thick. (If you don’t want to add texture to the dough, you can roll it to 1/8” thick instead and skip the next step.) I use Perfection Strips to easily roll my dough even thicknesses. I started with my thickest strips, the red ones. As you can see in the photo, I place parchment paper over my dough so I don’t have to add any flour to it when rolling it out. Now use a circle cutter, around 3” in diameter, to cut out the hat brims. I used a fluted edge cutter to give the hats a scalloped look. Place these on your baking sheet and refrigerate them for about 15 minutes then bake at 375° for 10-12 minutes. I have to throw in a photo of the pink brims because look how cool that flower texture is on the dough!! Next you need to make the top of the hats. 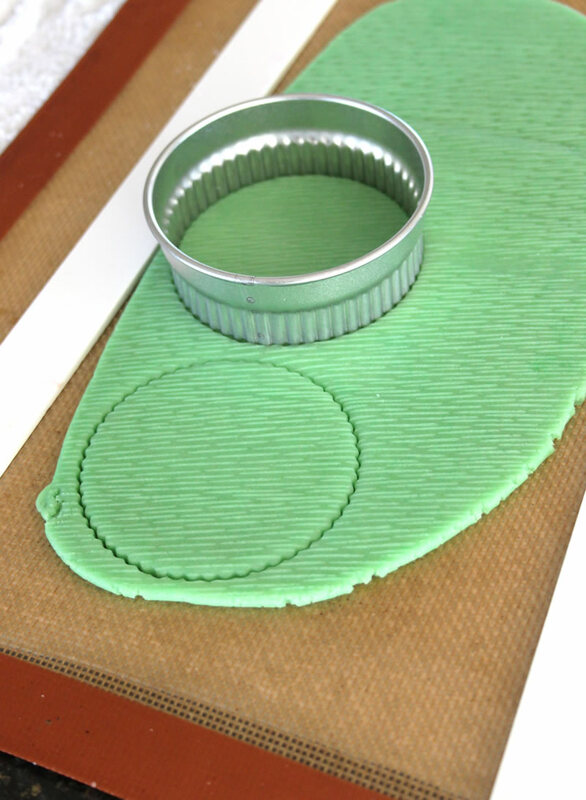 This time you are going to start with your dough rolled to 1/8” then use the textured rolling pin and roll down to 1/16”. You will notice in these photos that that meant starting with my white perfection strips and then finishing with my black ones. 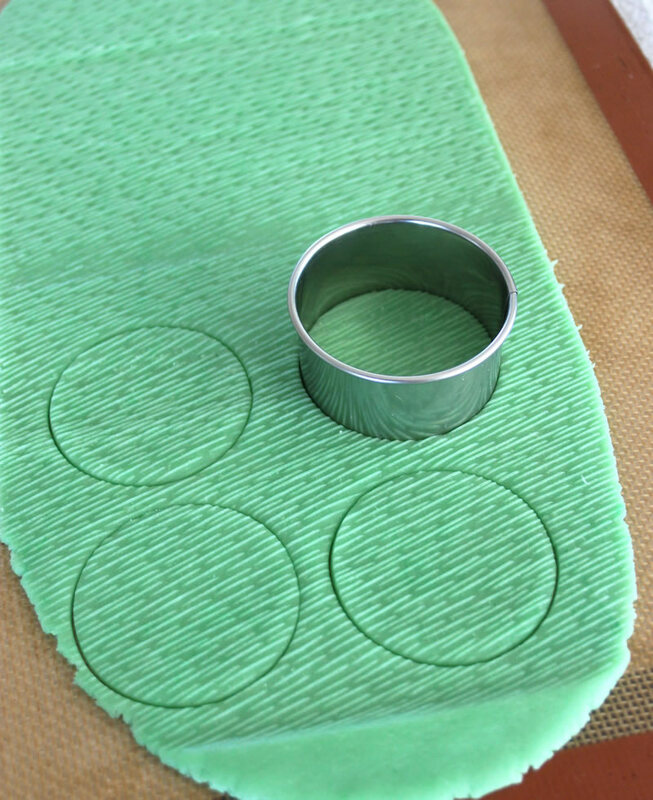 Use a circle cutter around 2 1/4” in diameter to cut out the tops. 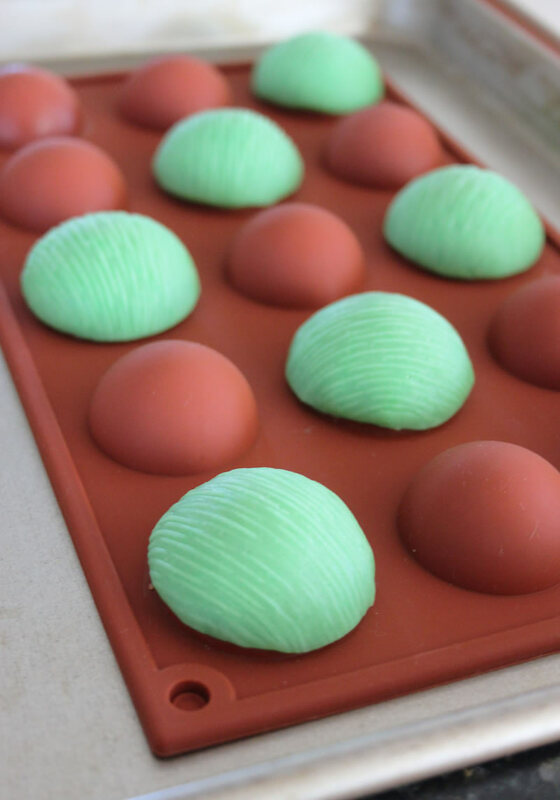 I refrigerated the circles for about 5 minutes to help them firm up a little before forming them on the mold. To get the cupped shape I used a cake pop mold, turned upside down and carefully formed the dough on it, making sure the bottoms of the dough didn’t touch the bottom of the mold. Supposedly you can also do this on a mini muffin pan but when I originally tried that, my cookies spread and the edges of the tops burned. Maybe you will have better luck though. This silicone cake pop mold worked perfectly! I didn’t have to grease it and the cookies popped right off after they had cooled. Before baking, I placed them in the freezer for 15 minutes to give some extra assurance that they would hold their shapes. Just like the brims, bake at 375° for 10-12 minutes. 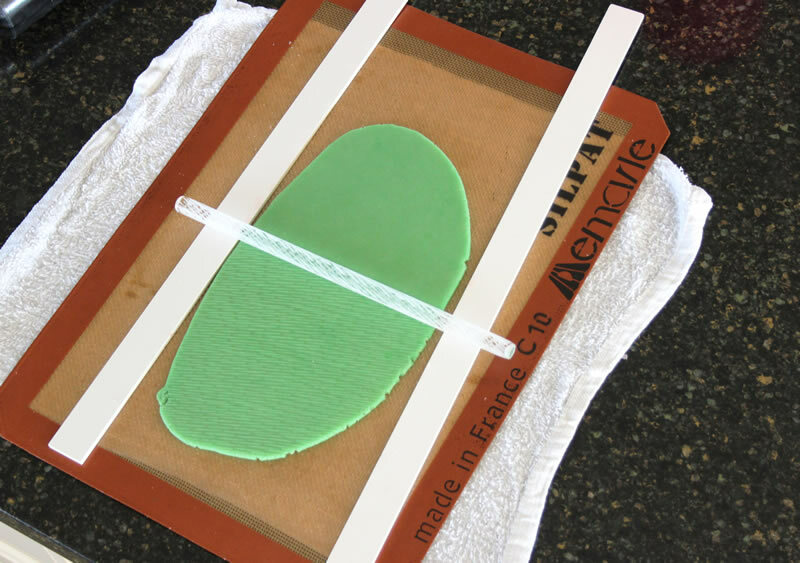 Allow to cool on the mold for about 10 minutes then remove and place them on a cooling rack to completely cool. Now that everything is baked, let’s assemble! You can use royal icing if you like but I had some leftover green and pink candy melts on hand so I melted those and used them my glue. I filled each hat top with about a tablespoon of candy then used a tapered spatula to carefully dab the melted candy melts on to its edges. I liked using candy melts that were the same color as the hats so that it wouldn’t be noticeable if I got any accidental drips. I then attached a brim to the hat top while it was upside down and then flipped it over and let it set up. 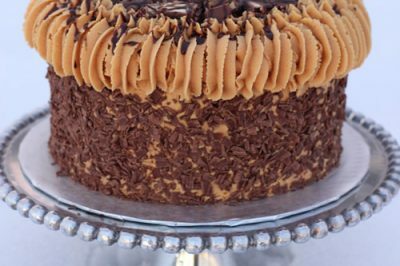 They already look cute, even before decorating. Time to add some feminine charm to them. 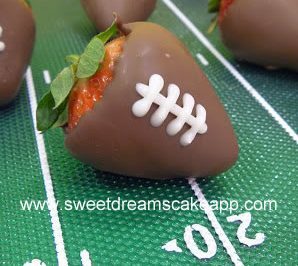 I used fondant for decorating but you could also use modeling chocolate. 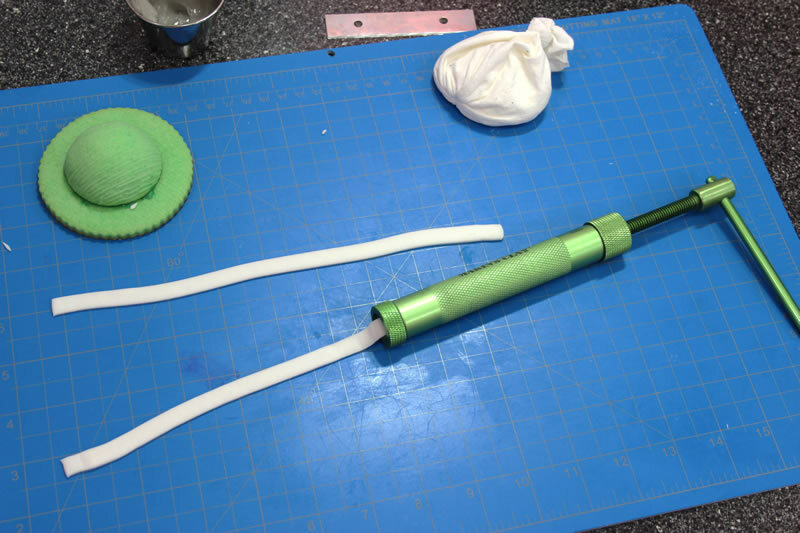 I used my extruder to quickly press out a strip of fondant for the ribbon. 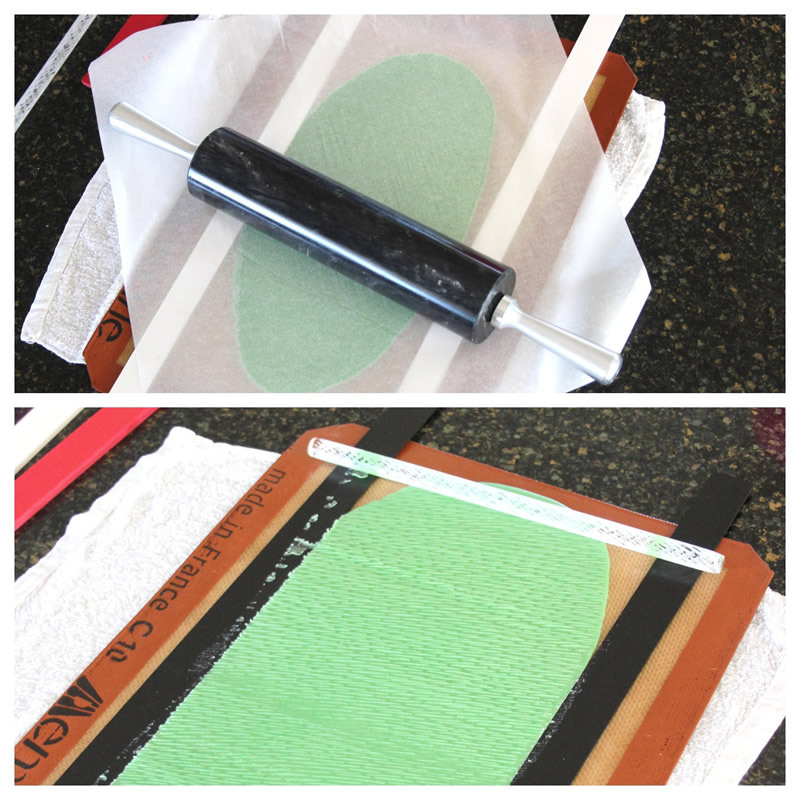 You can also just roll out the fondant and cut strips. 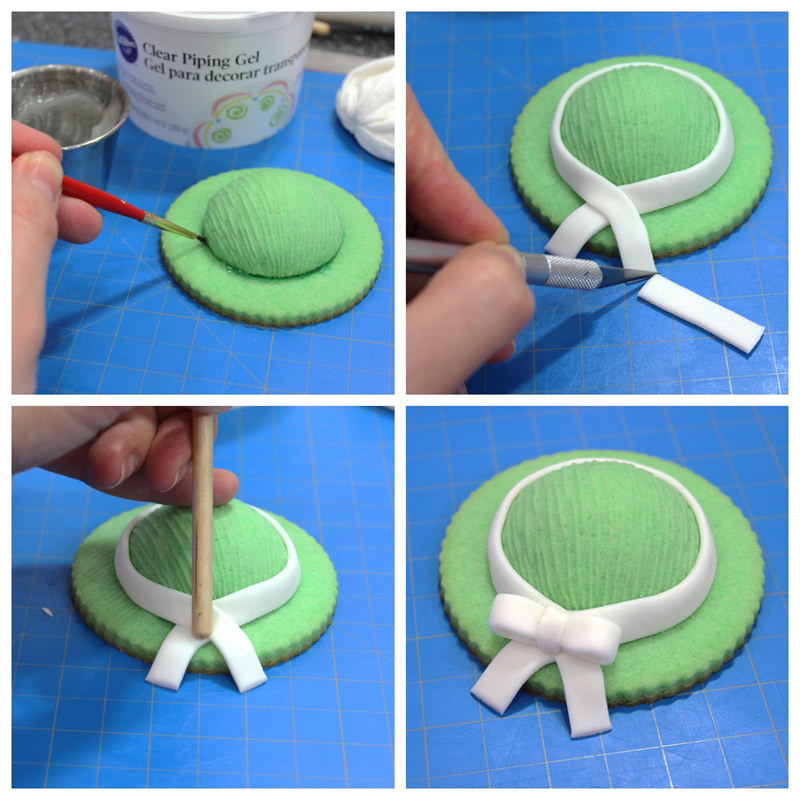 Use a paint brush and a little piping gel or corn syrup to attach the strip around the hat, allowing the ends to hang off the brim. Press the center point of the ribbons in so that the bow can rest in them and then attach the bow with some more piping gel. 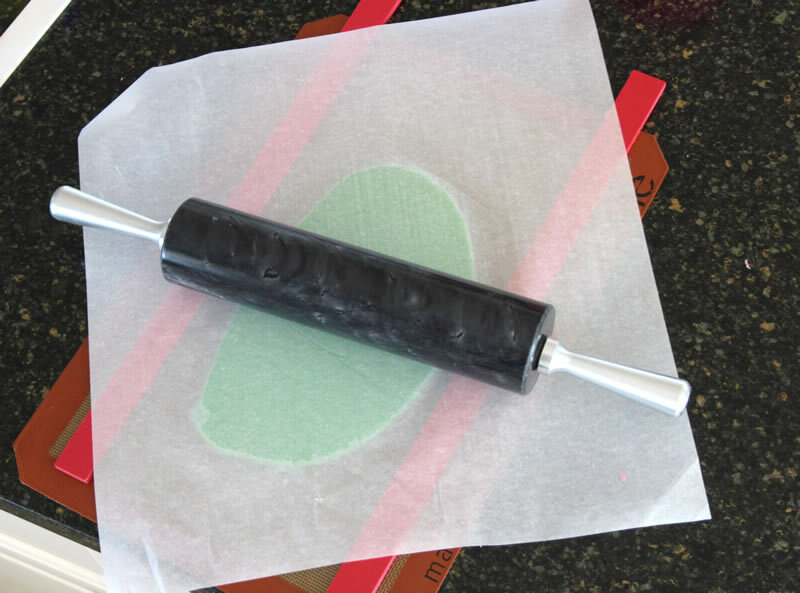 Use the same strip of fondant you used for the ribbon and cut a small length of it. I cut mine about 2 1/4” long. Add a little piping gel to the center of the strip and fold the ends in so that they attach in the middle. Be careful not to flatten them as you fold them over. Press down where the two ends meet to attach them then use your fingers or a tool to squeeze the top and bottom of the center point toward each other to make indentions. Now cut another strip about 1” long and then cut it in half lengthwise. 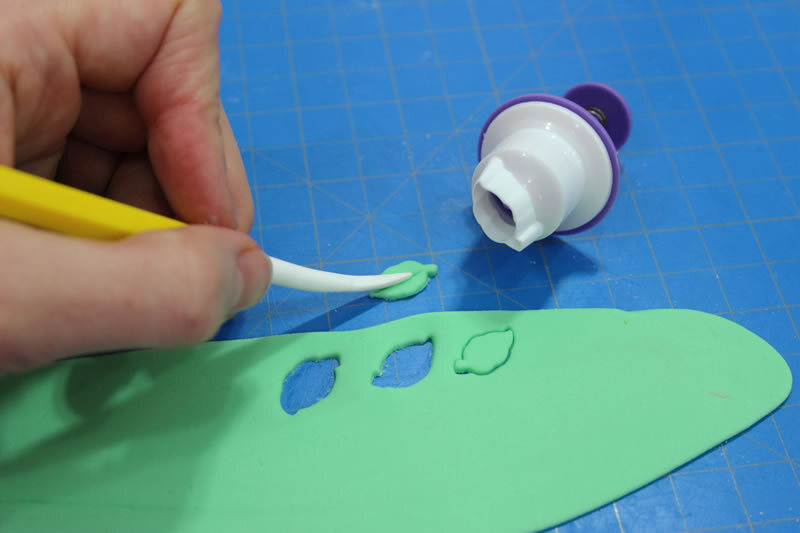 Add some more piping gel to the front and back of the bow and then wrap this strip about the center of the bow. Pinch of any excess fondant from the back of the bow. 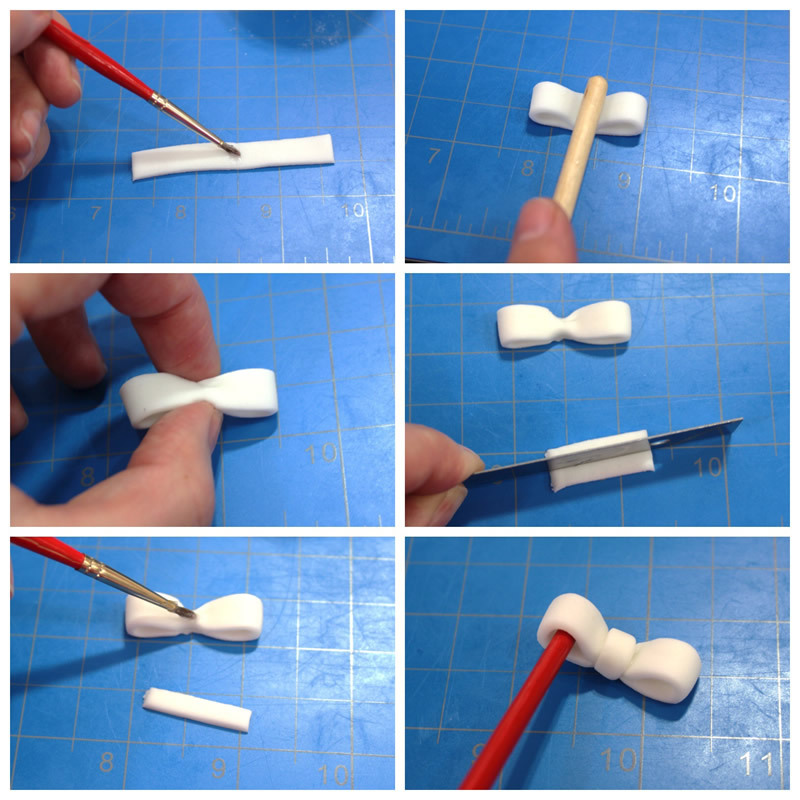 Finish by using the end of a paint brush, or a skewer, to widen and shape the inside of the bow loops. Now attach it to the hat. 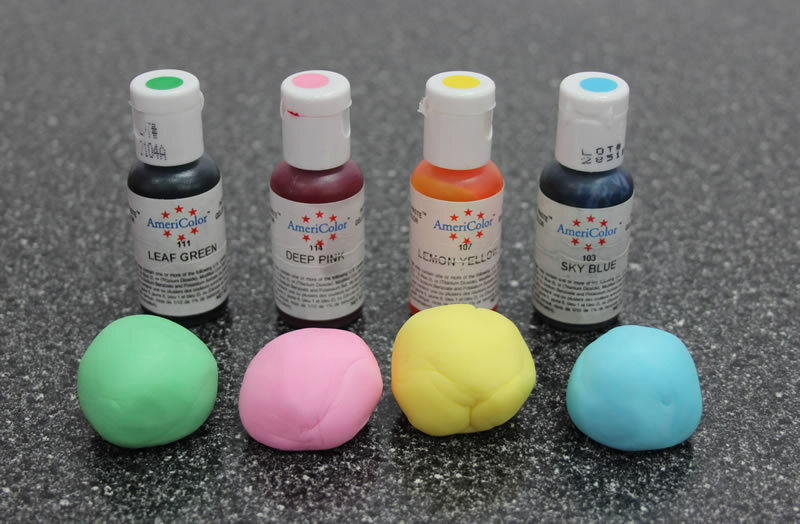 For the flowers, I colored some fondant green, pink, yellow, and blue. I used my Wilton flower ejector to cut out flower shapes, then pressed the ejector stick into their centers, while resting on a piece of soft foam, to make the indentions in them. I used the same ejector tool to cut out the leaves then added a line in them for some texture. I attached them all to the hats with piping gel, then added little balls of yellow and green fondant for the flower centers. And there we have a beautiful bonnets fit for a Southern granny on Easter Sunday. 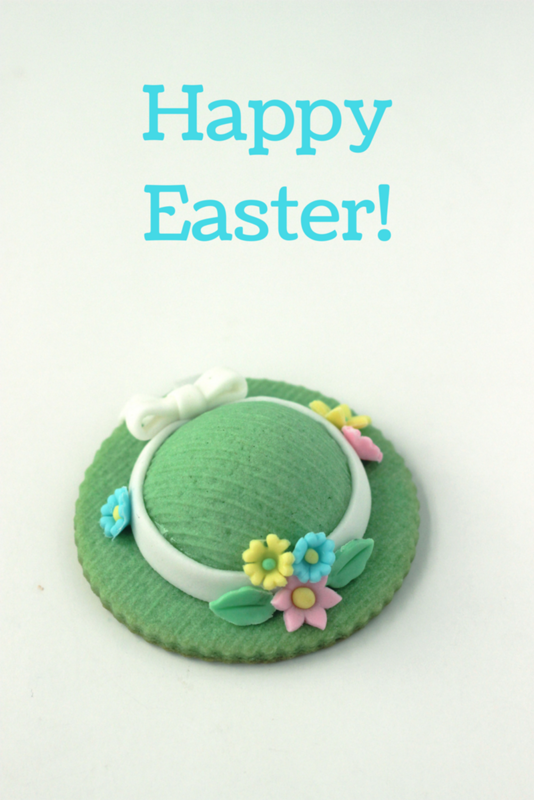 Enjoy the cookies and, Happy Easter to you all! May the love of our Lord and Savior rest upon you today and everyday. This sugar cookie recipe is adapted from Autumn Carpenter's Buttery Sugar Cookies recipe. I like to make the dough, refrigerate it overnight, then bake the cookies the next day. Add the egg, mixing on low, until thoroughly blended. Scrape the bowl. Add the flour, one cup at a time. Scrape the bowl after each addition. Mix until just incorporated. Remove dough from bowl. Knead in any flour that did not get fully incorporated. The dough should be a little sticky at this point. If excessively sticky, knead in a little more flour, being careful not to overwork the dough. Roll and cut cookies to desired size. Refrigerate for 15 minutes on baking sheet. 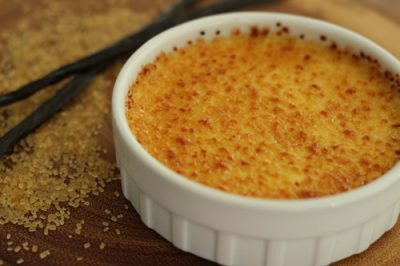 Bake at 375° for 9-11 minutes, until edges are lightly brown.